Named for philanthropists Irving and Estelle Levy, this two-leaved bronze gate is ornamented with monkeys, owls, and a squirrel. Dedicated in 1958, the gate originally stood at a playground at 80th Street and Fifth Avenue, also named for the Levys. Conserved in 1989, it was move to its present location at the nearby Ruth and Arthur Smadbeck-Heckscher East Playground. 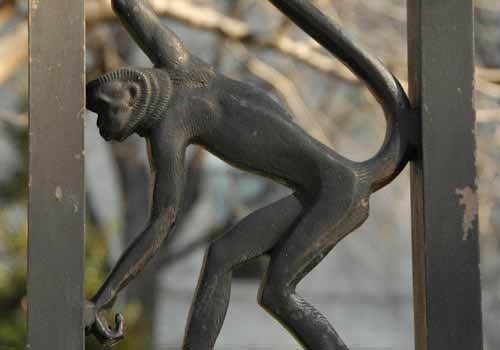 The gate was designed by A. Walter Beretta, NYC Parks' monuments artisan from 1934 to 1966.